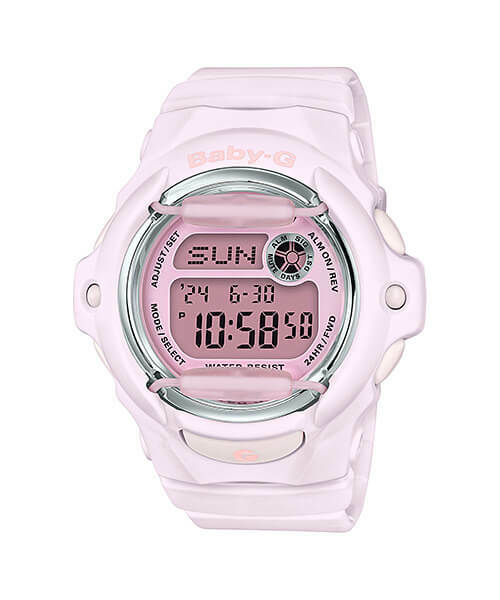 The digital Baby-G BG-169M Light Purple Series is designed to accent summertime fashions and includes the BG-169M-1 and BG-169M-4. 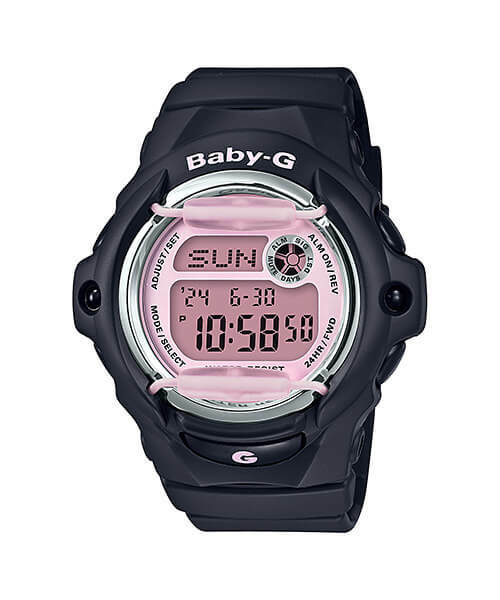 The BG-169M-1 has a matte black bezel and band with a purple face and the BG-169M-4 has a matte purple bezel and band with a purple face. Other features include a matching face protector, silver metallic bezel ring, and a purple-tinted LCD display. 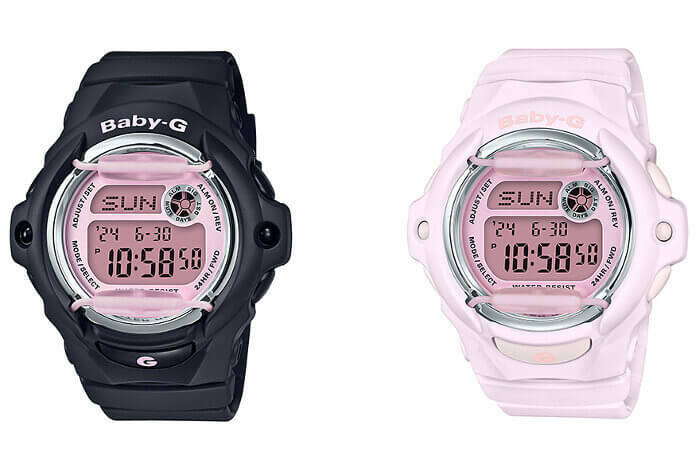 The BG-169M base model is noted for its 200-meter water resistance and is a recommended model for surfing and other water sports. It also has a data bank that holds up to 25 sets of data including a name (8 characters) and telephone number (12 digits). Other features include shock resistance, world time, 1/100 second stopwatch (max 23:59’59.99” with elapsed time, split time, 1st-2nd place times), countdown timer (24 hours), 5 daily alarms, and EL backlight with afterglow. The BG-169M-1 and BG-169M-4 are now available worldwide with a list price of $79 in the U.S.